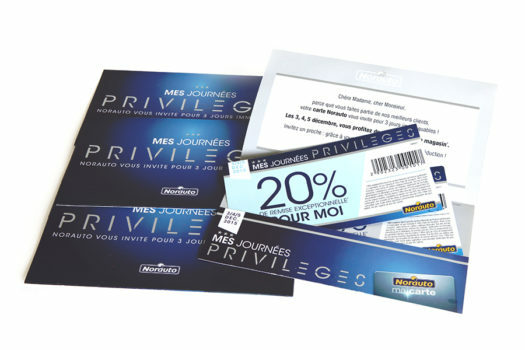 Whether personalised in black or in four-colour, take advantage of the power of finishing to send and enhance your discount coupons, your special offers, etc. 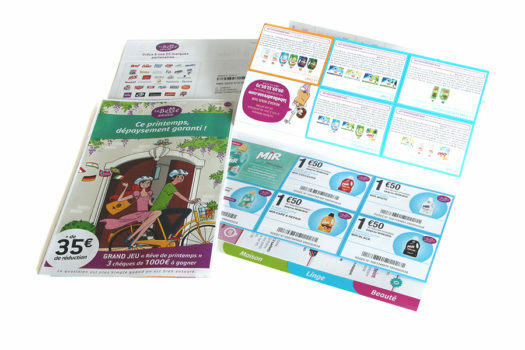 Thanks to hyper personalisation in colour, put the right coupon in the right hand and generate more traffic and ROI, and use the all-in-one to be even more economical than traditional mail. We offer different solutions to help promote and send your cards to your clients. The simple gift card to generate traffic in the shop or a high-quality fidelity card to promote loyalty from your customers. 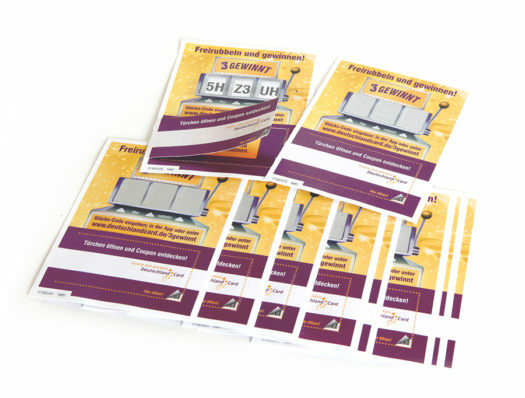 We offer fully personalised coupon books, with adhesive binding or stitched with the possibility of all kinds of tailoring. 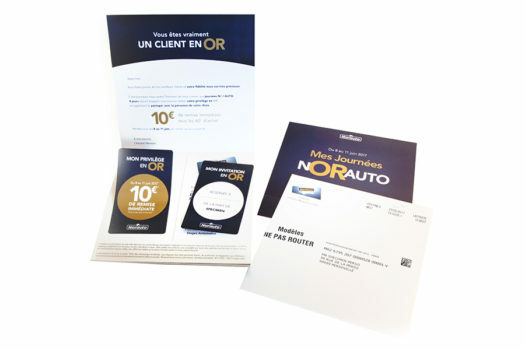 Our finishing lines are equipped with scratch-off units, which allow you to add another added value to your documents: a simple scratch card for your shop network, integrated into your mailing, gimmick, etc. Get your clients to play the game! These days, we have to think differently from a global market towards a client specific market. 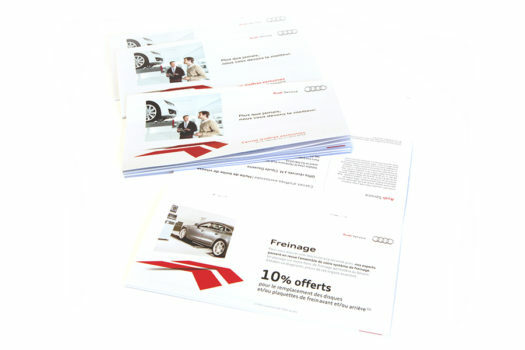 Use the four-colour personalisation to announce the right offer to the right person. If you wish, we can guide you in establishing your hyper personalised campaigns, thanks to our experts in Data, CRM and algorithms. 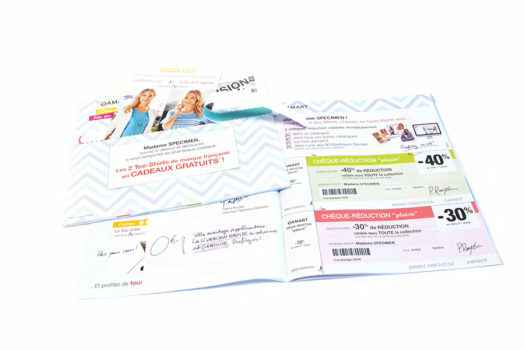 Send your discount vouchers economically using the all-in-one pouches. Whether they are personalised in black or in four-colour, showcase them to attract the customers. 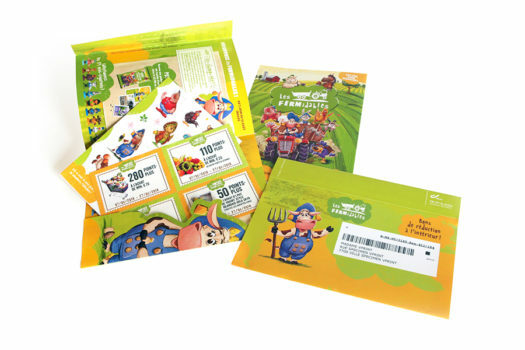 The economic solution that allows you to communicate quickly and to be more attractive to your customers thanks to the creative finishing (pop-up, loyalty cards, coupons, labels, coupon books, etc). All the advantages of the All-in-One, but with your catalogue or folder as well. 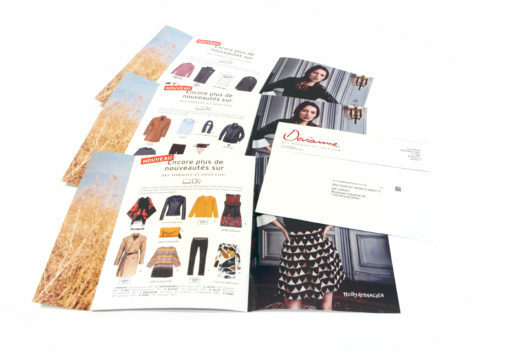 No need for plastic film, no need for envelopes to send your multi-document direct marketing campaigns. We assemble it all and send as a self-mailer directly through the post. At the same time you can add value to your brochure covers.